What truly makes a brand? Is it a purely visual approach to marketing, or is it the fabric that runs through every decision and process a business makes? Here, we discuss the importance of brand consistency and building a brand strategy that brings tangible benefits to a company. Brands develop whether you control that development or not. Without a brand strategy, the seemingly inconsequential decisions that business owners make every day can lead to a muddled proposition. Here we look at what truly makes a brand, how it can slip off the rails, and what can be done to bring it back into line. What is Adidas’s brand? Three stripes? Or is it David Beckham? Or Stella McCartney? Or RunDMC? Or the box the trainers came in? Or the smell of the box the trainers came in? There are various definitions, but for us the broader the better. While most people will recognise that ‘brand’ goes beyond the logo, many are attached to the idea that branding is purely visual. Others may include written content, in particular straplines and slogans. More enlightened individuals will recognise the power of endorsements, placement, context. In fact, we would broaden the definition yet further – wherever a marketing judgment call is made by a business, that’s branding. “Marketing” governs every point at which your business is perceived by the world, and every decision concerning how that is rendered is a brand decision. Will your staff wear a uniform? What will that uniform look like? Right down to how you would like your staff to behave when engaging with your customers. Have you ever noticed how unfailingly polite the assistants are in Waitrose? That’s branding too. There are even aroma branding companies such as aromaco.co.uk that will help businesses develop the optimal scent for their outlets. So, when we think about brand, not only must we about each part of our business that is perceived by others, but also how it is perceived through all five senses. Given that all of these micro decisions are, in truth, brand decisions, it’s easy for businesses to fall into the trap of making brand decisions without even realising they are making them. An accumulation of these piecemeal, off-the-cuff judgment calls will build a brand – but maybe not the brand you want. Many business owners will wake one day to find themselves heading up a brand that they don’t really like and wondering how they came to be in this position. Even worse than an off-beam brand can be a brand that has become so diluted by multiple, unfocused messages that it has nothing distinctive to say to the market anymore. But all is not lost. The terms “rebranding”, “brand development” or “brand strategy” may sound like the preserve of big business. However, they can deliver businesses of any scale from dated, underachieving or even toxic branding and introduce fresh approaches that move the needle in the right direction. 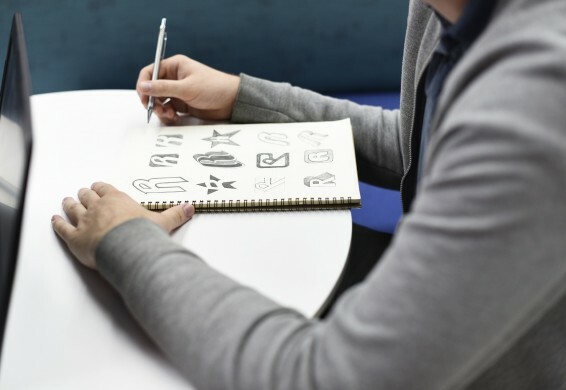 Business owners who recognise that their branding could be improved will want to change things up, but it’s important at this stage to approach the whole spectrum of activity with one consistent vision. This is where a properly planned brand strategy is so valuable. Chipping away one piece at a time without a brand strategy will only lead back to a disjointed approach. We’ve had businesses try a DIY job on their logo, only to find further down the line that their new logo colour could not be consistently replicated across a broad spectrum of collateral. Other businesses will invest in a brand-spanking new website without updating their printed materials or vice versa. Perspective is important here and most businesses will benefit from an outside eye at this stage. The way we go about auditing your business at Storm is through a brand discovery workshop. The first stage will be to get to know your existing business and its environment. We understand your services, your audience and how you want to be perceived. We understand the importance of looking at your brand in its entirety. It’s not as simple as considering a new logo, but looking more broadly at every point where your business comes into contact with the wider world. From this holistic foundation, we ensure that everything the brand has to say is delivered with one voice, speaks to the right people, generates the right leads and remains 100% on brand. When a consistent brand message forms a thread from the manufacturer through to the target customer, it is known in the industry as Threaded Marketing and is regarded as an important brand goal. Beyond the logo, a brand will encompass a number of design elements, all of which need to be used consistently. The same goes for written content and any other way that your brand expresses itself. Once a look and feel has been established and certain brand assets are in place, you’ll need to start thinking about how you police their usage, both internally and through your partners, online and offline. Where will you align your logo and what sort of space do you want to allow around it? Will you allow it to be used on coloured backgrounds or over other imagery? What are the relative sizes of your visual brand assets when they are used together? If you use a word mark or letter mark logo, do you allow that to be used in the context of a sentence? What is your colour palette? What is the vocabulary of the brand – are certain terms out of bounds? An experienced branding agency such as Storm will know what situations need to be anticipated and will help to develop water-tight brand guidelines that will allow you to take your branding forward without having to make ad-hoc calls about usage and presentation as they arise. Many businesses even make their guidelines public and it’s well worth having a search online to see how some of the most successful global brands control their branding. But as we’ve seen, there’s an awful lot more to a brand than aesthetics or even the language that it uses. At Storm, we go beyond the traditional brand guide to produce a Digital Brand Library for our retainer clients which collects all their assets together in one online resource. This is invaluable, not only for external partners, but internally too as an everyday reference for decision making. When we undertake fresh activity, we can make reference to the Digital Brand Library to check it against agreed parameters. This doesn’t mean a brand can’t adapt or evolve, but it does enforce a degree of conscious consideration in the process, and prevents a business from sleepwalking towards confused or diluted brand habits. We’ve discussed brand consistency, but the quality and relevance brand content itself is of course of paramount importance, and the real magic happens when your brand is perfectly aligned with your offering. This requires careful consideration of the product a delicate adjustment to find where to pitch the brand. In particular with regards to value. There are plenty of cheap brands that do a fantastic job of representing a cheap offering. Cheap is no bad thing if we are targeting a specific audience. Take a look at Farm Foods – their brand, product mix and audience all align to create a strong and consistent offering – this is precisely what a successful brand does. Similarly, at the luxury end of the spectrum, a prestigious product needs a premium-feel brand – as disparity will lead to a weak brand. Customers’ expectations of your business are defined by their first impression – a book will be judged by its cover until it is read! What are the Outcomes of a Good Brand? When branding is successful, there are almost no limits to the extent to which it can benefit a business. In fact, we can probably all think of businesses that have a fantastic brand and very little else – which is essential in markets where there is very little to differentiate between competitors’ products, such as the mineral water market. But even in markets where the product stands on its own merits, marketers need the customer to take a chance on their product in the first instance – they need an ‘in’. In this situation, a good brand can be an ‘in’. A book will be judged on its cover in the absence of any alternative source of information. That cover is like your brand, it needs to be attractive to the right customer and it needs to be a good fit for the product itself. Once the brand has achieved your ‘in’ with the customer, it continues to work for you in developing loyalty. When your customer identifies with the brand and feels good about being a user of the product and trusts what the product brings for them, they are likely to remain loyal. If you perfect the brand recipe, in particular if you find yourself at what’s considered to be the higher end of your market, you may be an aspirational or ‘ostentatious’ brand – where the laws of economics are turned on their heads. The demand curve for your product starts to bend the other way – the more your charge, the higher the demand. The very fact that your product is expensive renders it more desirable to the consumer. This type of branded product that economists call a Veblen Good is an extreme example, but there is no doubt that a strong brand will allow you to command a higher price for your product. The combination of cache & loyalty can allow some brands to charge more than competitors without harming sales, which of course pushes up margins and makes for a more profitable business. For the majority of businesses, the loyalty and status commanded by high profile brands from Heinz Ketchup to Cristal Champagne are distant aspirations. But brands that are not so far along their brand journey will reap the benefits of strong and consistent branding by making a strong first impression, initiating an engagement with their customer and consolidating that relationship by fostering brand loyalty. At Storm we value brand consistency, and that’s why we specialise in brand strategies that make that possible. Establishing a consistent brand across all channels is an essential foundation, and a well put together set of brand guidelines helps to lock in that consistency, but a brand will always require guardianship if it is to remain relevant and undiluted. Brands never stand still. The daily decisions that businesses make pull them in different directions and their complexions change depending on their cultural contexts over time. Branding is a complex and highly-specialised aspect of the business world. The fresh approach and specialist expertise that businesses can harness through engaging a dedicated agency on an ongoing basis can result in the kind of hard-working branding that ultimately grows the business. If you are looking for some guidance, get in touch to see how Storm can help you get your brand on the right track with some fresh thinking. How Important is SEO to Your Business in 2018?